As demands on data centers, like required increases in compute output and storage size, grow, so too does the need to better plan for the unknown. 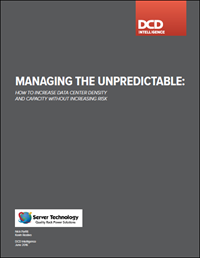 However, adding data center capacity to meet future compute needs can be expensive, and enterprise workloads are not always predictable. Yet data centers need to ensure there is sufficient capacity for potential expansion efforts as business grows more dependent on data centers for service provisioning. Denser environments and capacity planning can help data center managers prepare for the future with limited information. Why are denser data centers of increasing interest to data center operators? What are the key elements of a high-density data center? How can enterprises take advantage of high-density computing? What lessons can be learned from data centers with higher densities? What are the benefits of higher PDU outlet numbers and higher server operating temperatures?